Thank you for visiting my website, this must mean you have started planning for your big day. You have the right to an amazing wedding reception. You do not have to settle for average or ordinary. You have the ability to create a celebration that everyone will remember and all others will try to live up to. You have the right to be as stress free as possible, because you know you are dealing with professional. 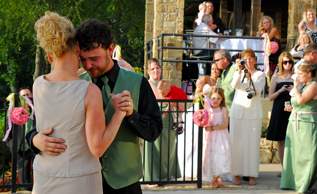 You have this one chance to make your guests say that was the "Best Wedding Reception... Ever!" will you trust this day to just anyone?